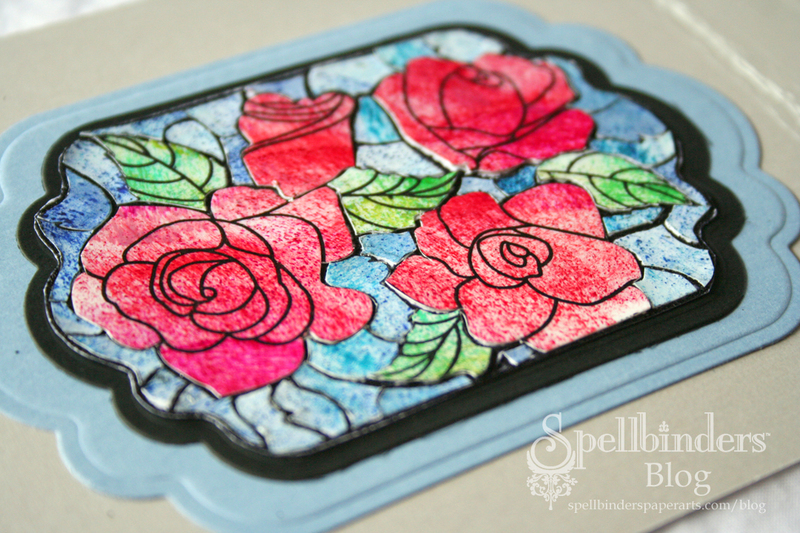 I teased about another idea with the Flourishes stamp set, and here it is. 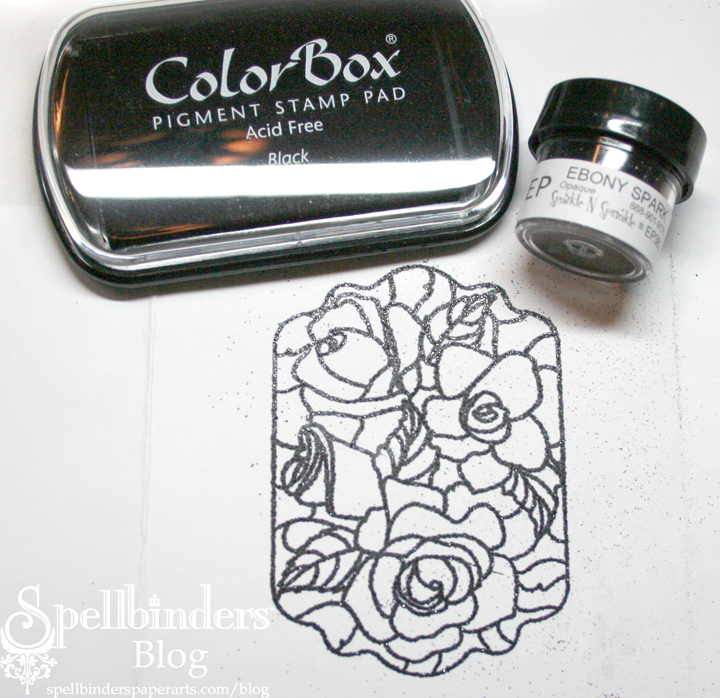 I don’t think of myself as a stamper so much as a paper crafter, so my brain goes beyond the stamp and color it in phase. 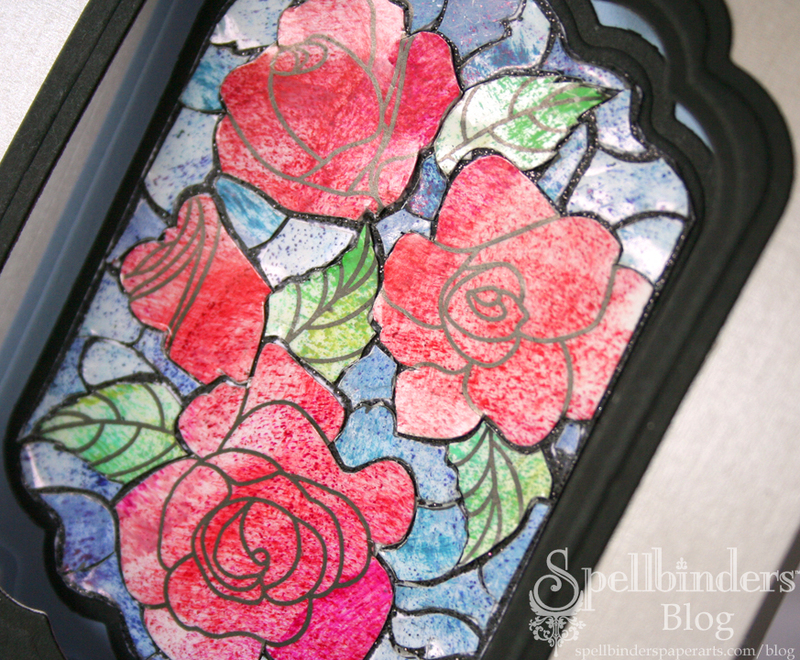 I went in the ‘what kind of color would mimic stained glass’ and took it from there. 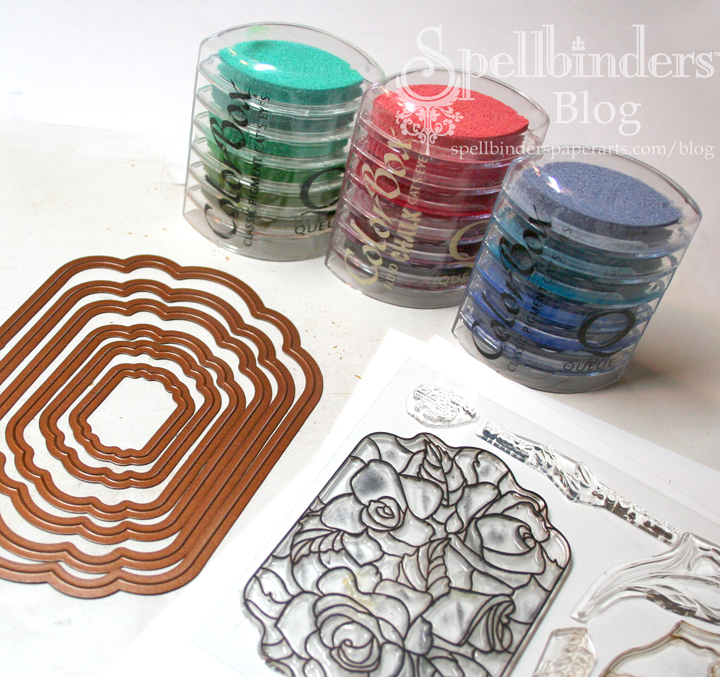 I posted the full instructions on the Spellbinders™ Blog. Start with ink and photo paper. 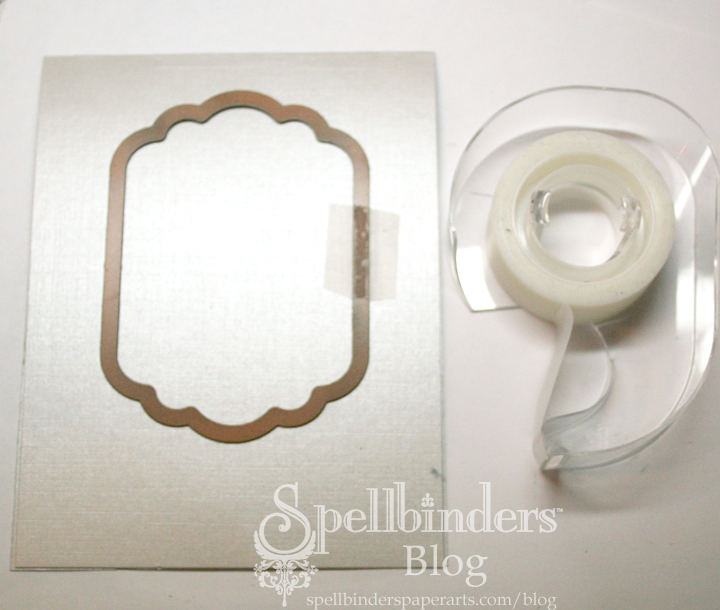 Use SCRAPBOOK ADHESIVES BY 3L™’s Adhesive Sheets to apply adhesive to the colored panels, this will turn them into stickers so we don’t have to worry about tiny scraps of paper and adhesive. With scissors, start to hand cut the individual images from the colored papers. 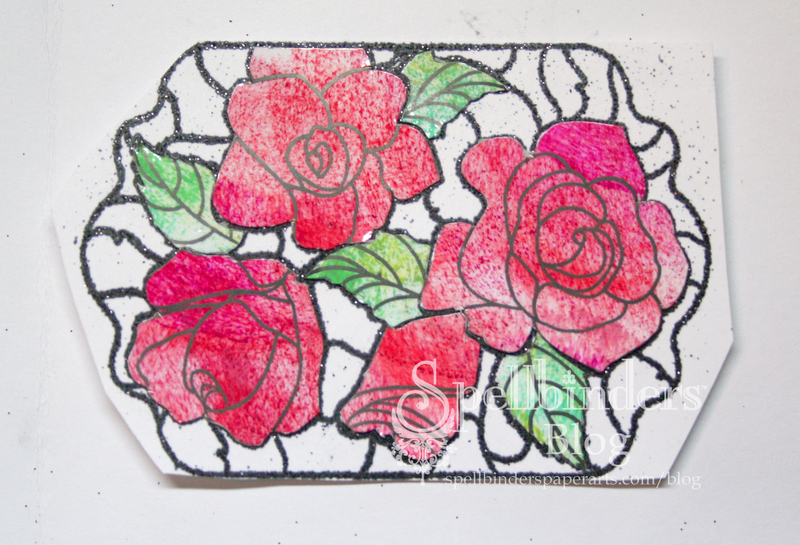 Cut inside the lines, adhere so the embossed lines are visible. Keep cutting! I cut the blue pieces from several images to vary the color, to closer resemble stained glass. Cut then put in place, otherwise its a very difficult puzzle to put together. Trust me! Next, make the card. 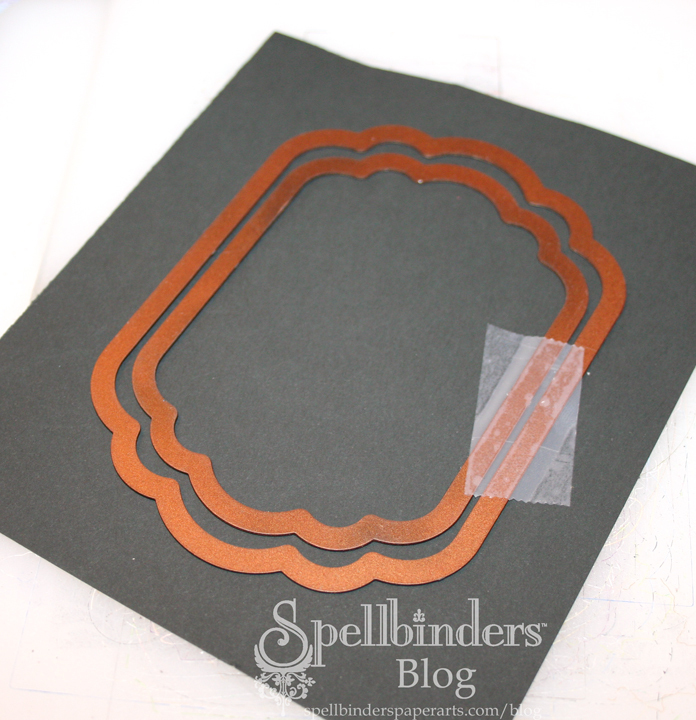 I cut an opening in the card front with Labels Eleven #5, the fifth largest die tempate. 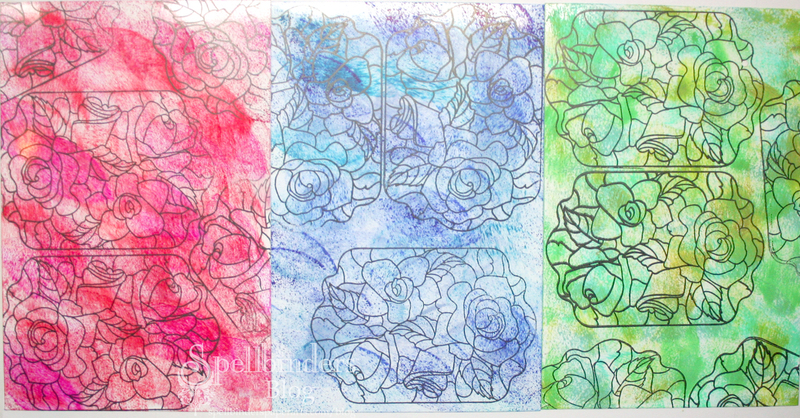 Sure the blue parts were tedious, and to make this easier I suggest using patterned paper and/or a less intricate stamp. Spellbinders and Wizard are trademarks of Spellbinders Paper Arts, llc. Nestabilities is a registered trademark of Spellbinders Paper Arts, llc. 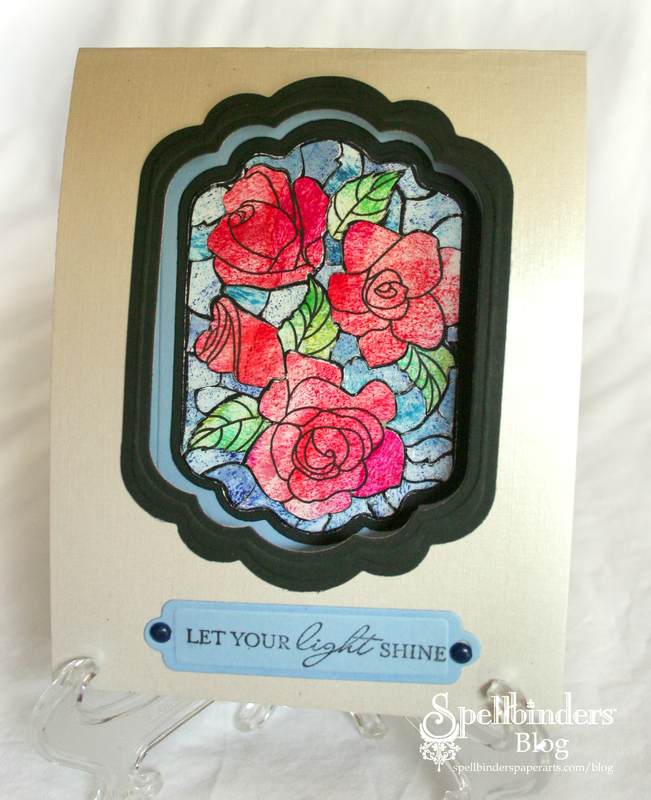 This entry was posted in Card, cards, SCRAPBOOK ADHESIVES By 3L, SCRAPBOOK ADHESIVES BY 3L, Spellbinders, Uncategorized and tagged Clearsnap, Faux Stained Glass, Flourishes, Labels Eleven, Nestabilities, Sparkle N Sprinkle, Spellbinders, Worldwin. Bookmark the permalink. Beth, this turned out SO COOL! !